There's a hot new trend in the Episcopal Church (and for once I'm not talking about Lent Madness). "Ashes to Go" is the clever name for bringing ashes to the masses on Ash Wednesday. The idea is for fully vested clergy to go to places like commuter rail stations or busy intersections or coffee shops or even, as has happened the past few years, Grand Central Station in New York City. I have a number of friends who have been on the forefront of this movement -- the epicenter (no pun intended) was Chicago -- and it's spread all over the country. There was even an article in yesterday's USAToday titled "Episcopal Priests offer 'Ashes to Go.'" (Take that, Lent Madness). I applaud the entrepreneurial spirit of taking worship into the streets. If the Church is to thrive and remain relevant rather than wither on its ecclesiastical vine, such thinking is essential. 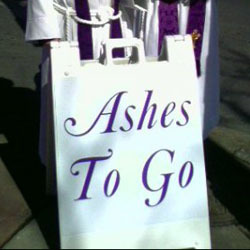 Proponents of "Ashes to Go" note that it's not intended for church goers who "get" the whole forgiveness thing but is a form of evangelism meant to convey this message to the wider world. And yet, as innovative an idea as this is (and as much as it plays to the strengths of those few extroverted priests out there), I struggle with the concept. The danger is that it reduces this sign of penitence and mortality to little more than a liturgical party favor; something to show off to your co-workers over that morning cup of coffee. The reality is that true forgiveness and repentance only take place within the context of authentic confession. Drive-thru grace doesn't do justice to the profound theological underpinnings of our faith. "Remember that you are dust and to dust you shall return" only makes sense within the context of the Resurrection. Otherwise it is a truly depressing and deadly notion. So I'll be indoors at St. John's today with services at 12 noon, 4:00 pm (children's liturgy), and 7:30 pm (with choir). When it comes to Ash Wednesday, I personally prefer to dine in rather than take it to go. This isn't to say that I'm opposed to this practice of, to quote the Doobie Brothers, "Takin' it to the streets" -- not at all. The Church should be out in the world where it belongs. But I do caution those involved in "Ashes to Go" to think before they smear. Tim, I agree and disagree; if the ashes to go get some people who wouldn't think about Ash Wednesday to think, and to consider observing Lent, that's a good thing. As one of those 'few extravert priests out there' I understand your reservations. For the most part, (in my limited experience) those I've know who have engaged in this practice are thoughtful and are not giving out 'party favors'. The display of the 'smear' over the morning coffee is just as possible with those who take their ashes 'in' at early morning services. For me it's a case of both/and, not either/or. One African woman we encountered this morning at Union Station in Worcester thanked us all profusely and then thanked Jesus repeatedly and from the balcony of the train station as she hurried to her train to Boston. This was the only chance she was going to have this Ash Wednesday. As for 'drive thru grace', I think that has to do more with the recipient and their posture (of which I can never be sure) toward grace, penitence than it does to who administers the sacramental sign of that grace. To be the judge of another's confessional authenticity is not something I think is my work to do. I have a hunch that Jesus is pleased by our efforts to be faithful whether it's 'take out' or 'dine in'. At least that's how I see it. I too will dine in (7 am & 7 pm) as well as worship with our outdoor church brothers and sisters in Worcester at 11. "Liturgical party favours" HAS to be one of the best phrases I've read in a while! Not to be cynical (stop laughing) but receiving ashes on Ash Wednesday has always been a "liturgical party favor." 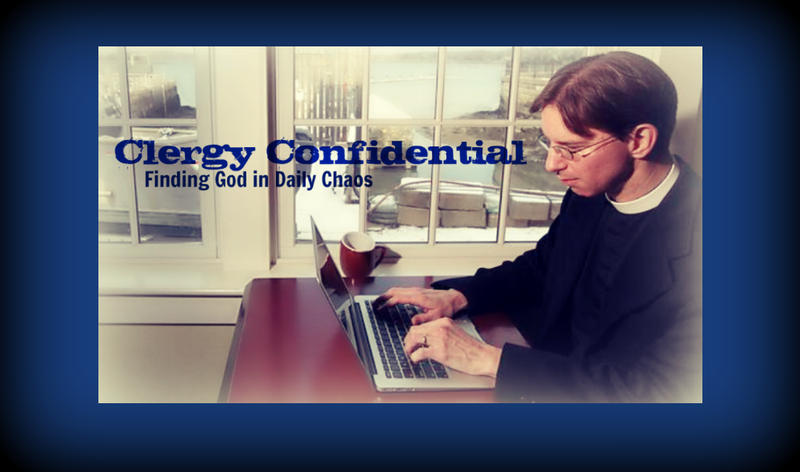 Yet another thing discussed behind the scenes by clergy and lay pastoral associates. At one Catholic parish where I was on staff, we always tried (unsuccessfully) to do a bit of teaching about how Ash Wednesday is NOT a "holy day of obligation." Much conversation among us about how parishioners always show up in droves when they're getting something for (allegedly) free: ashes, palm fronds. But hey, they show up, we'd tell ourselves. Lord, have mercy. Another extrovert priest here who stayed away from church for a long time back in the day, angry and hurt and disillusioned and ashamed. I think I would have loved for the church to come out to me (in this kind of way, not as a haranguing street preaching way) instead of waiting for me to come inside. The phrase "cheap grace" comes to mind. I concur with your bigger concerns but I also think it is a kind and graceful way to remind busy or alienated people that God and the church are still here for them. I prefer ashes in the context of the proper service for the day, and I honestly think wiping them off pretty soon is the best practice (I always giggle a little at that "don't show your piety before others" reading for the day) but I may well lobby to do this next year. People can definitely observe Ash Wednesday in a shallow manner whether in church or out in the streets. I'm not sure about the shallowness of it. I think about how I received them. I was running late because I couldn't find my wallet. I was (apparently) swearing quite loudly throughout the house. nerves were frayed thinking that I absolutely had to get into downtown and work. It seems to me that is probably the absolutely most appropriate time to be reminded that I am from dust and to dust I shall return.